You can now bid on a per impression basis, eliminating wasted impressions and allowing you to really target your customers. Our technology selects the highest bid in real-time and delivers your offer right to the site that your customer is viewing. The process happens in milliseconds. 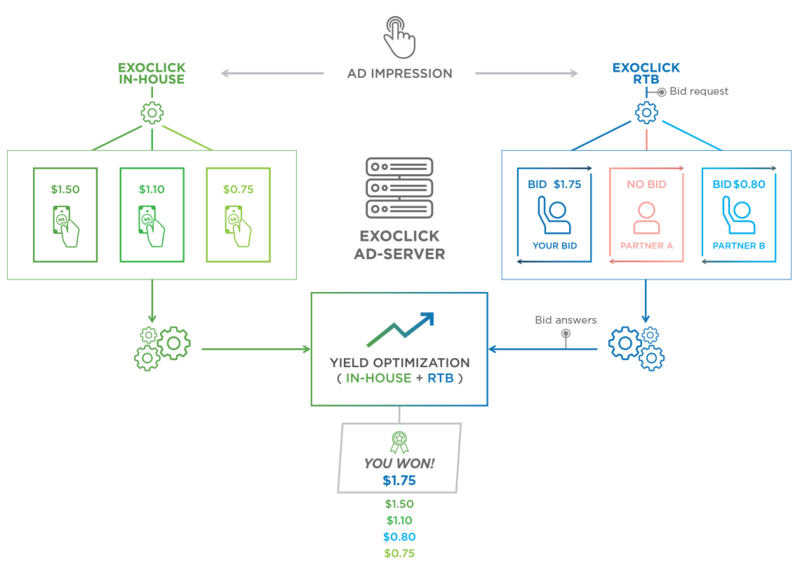 Marketeers, Affiliate Platforms, Advertising Networks, Demand-Side Platforms (DSPs) you can now plug in your own programmatic ad buying tools/automization software and pair it with ExoClick’s superior targeting features and automisation tools. Now you can go fully programmatic. Email rtb@exoclick.com or click the contact us button below. ExoClick's clients are harnessing programmatic buying from our RTB supply-side platform (SSP) which gives them direct access to multiple sources of high quality inventory.